Is Earth Networks the support that firefighters need to prepare for storms? Did you know that about 24,000 people are killed every year due to lightning strikes and about 2,40,000 are injured? Lightning strikes have a mortality rate of between 10-30% with up to 80% of the survivors sustaining long-term injuries. Whilst, these statistics may not seem as dire as some other natural disaster calamity rates; nevertheless, there are many emergency service providers who are working rigorously to find solutions to firstly pre-empt thunderstorms and secondly to mitigate casualties. Earth Networks is one such enterprise which is making significant in-roads in creating highly efficient detection systems combined with high end analytics. They have successfully curated a very accurate weather alert system which provides clear and advanced weather alerts to optimize outdoor safety and weather preparedness. Earth Networks is helping organizations across the globe to mitigate weather-related financial, operational and human risk. They are currently operational in over 90 countries and have been a weather expert for over 20 years. They not only help organizations monitor real-time weather conditions and preventing weather disruptions to assure business continuity; but also in taking control of emergency response situations through collaboration.They are the largest proprietary weather observation network with over 12,000 hyperlocal stations and their Total LightningNetworkTM is the first in-cloud and could-to-ground global lightning detection network with over 1500 sensors. 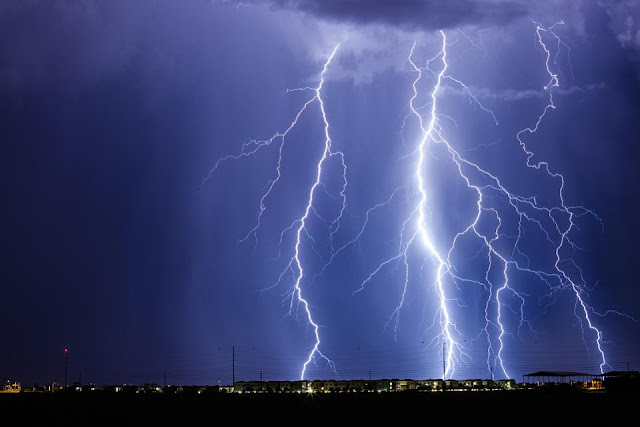 In areas prone to thunderstorms and lightning strikes, the realtime lightning data that the system provides, could be crucial to the human and non-human resources risk mitigation. The Outdoor Alerting System allows you to configure hours of operation, lightning-strike distance, alert duration, and to deploy auto-generated email and text alerts to recipients. Currently they have been successful in schools, airport operations, energy & utilities, parks amongst other industries. Hence you and your organization needs Earth Network to plan and prepare for every weather scenario. I continue reviving your blog considering, "For what reason are there no new posts??" Honestly, there are a few online journals I LOVE yet they don't have new substance consistently. At times it makes me pitiful. Different occasions it makes me neurotic. I go visit the landing page thinking about whether possibly another post email simply didn't come through (obviously that is never the case). apply here for new PAN card I'm not attempting to drive you to post each day, however the way that I WANT you to implies that I truly love the posts you do distribute. I can't resist on the off chance that I need more!